What a great way to start out 2013. In case you didn't know [because you are not following me on instagram or FB] me and boyfriend added a little addition to our [future/kinda now] family. Meet Roman [left] and Rollie [right]. We are already in LOVE with them. They were born on November 11th so they are just hitting 8 weeks. I think this will be a great little pre-child prep [not why we got them, just a perk maybe?]. Yes I know they are nothing like children, but patience is tested. Hard work my friends, hard work. 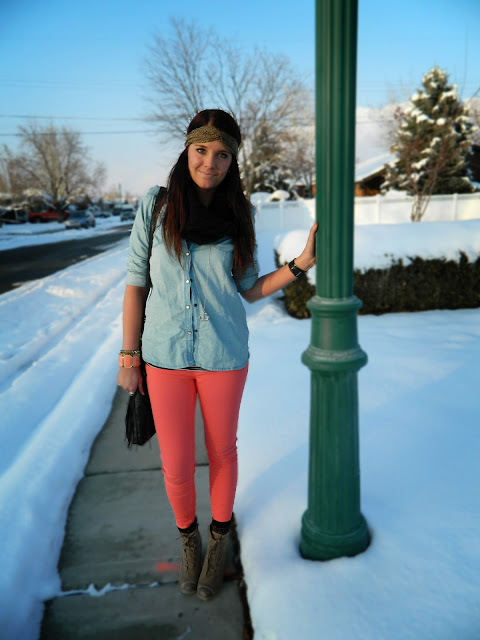 I have missed my fun colored skinnies that I wore all summer and spring so I decided to just throw on a scarf and socks and boots and make it winter. 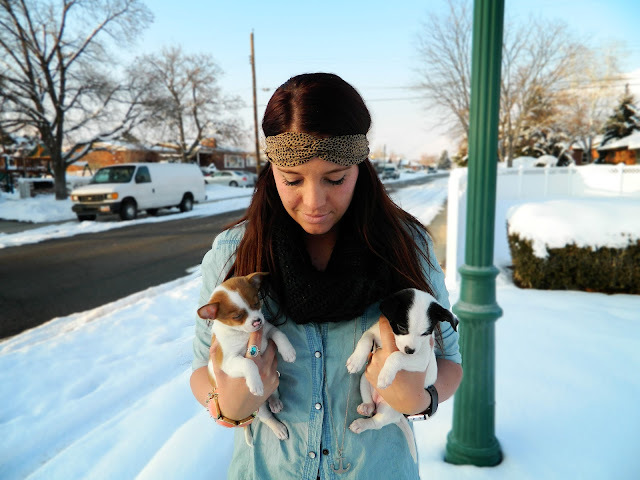 It was around 11 degrees outside when we were snapping pictures, me and the pups were a little chilly to say the least. Jacket is a must. 2012 was a crazy year for me. Between getting divorced, moving, graduating, finding jobs, finding the best guy ever, and a million other things... let's just say I am looking forward to 2013. Nothing but good things are in store for me [and my boy]. Us, together. Excited! !